Are these my best peas ever? This is somewhat embarrasing to admit, but I've never been all that successful at growing peas. Some years the bunnies eat the vines to the ground before they have a chance to flower, or the vines end up so short from bunny nibbling that the few flowers that do form pea pods don't seem like they are worth the effort of finding and harvesting. Other years, I lose track of time and before I know it, I've got dried peas on the vine. 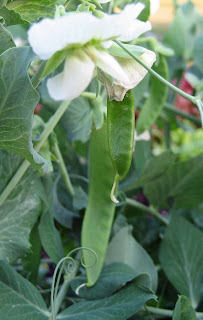 Or I plant too late and it gets hot and the pea vines wilt and the few pods that form are small and have one or two peas in them. But this year? I think this will be my best pea harvest yet. It won't be a lot of peas because my row of peas is only eight feet long. But I think it will be enough to actually taste the peas. And what has been the difference? The wisdom of an experienced gardener scrawled out on an old seed packet that I found in a box in my garage. You might remember me posting about that in January, when I boldly declared, on that cold winter night, that this was to be the Year of the Pea. The seed packet I found was the from the last peas my Dad sowed before he passed away twenty years ago. I learned two things from that packet. Sow early, and get the variety 'Green Arrow'. And from others' comments to my post about the Year of the Pea, I decided to add an innoculant to the soil. 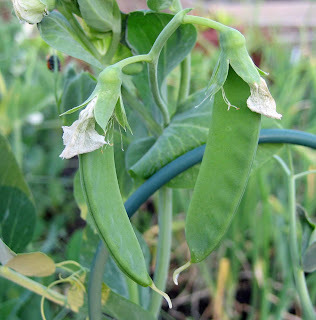 See how many peas are forming in these pods? It's a critical time now. I need to water frequently, I think, so the peas are nice and plump. I also need to watch out for the rabbits. See that little bite out of that pod? That is no doubt from a rabbit. I saw a rabbit in the garden yesterday when I went back there to plant the tomatoes. They are eating my food. I am at war with them. One of my tactics to keep the rabbits away is to set out this fake owl, which I have been doing faithfully for many years. But it doesn't seem to scare the rabbits one bit. That's what I get from trying to get garden wisdom from a marketer trying to sale fake owls as a cure for rabbits. It is just a decoration at this point. Where do you get your gardening wisdom? I'm convinced that the best source of gardening-know-how is to talk to an experienced gardener, one who has learned from other gardeners before them and from their own trial and error over years, if not decades, of gardening. Watch what they do, see when they plant, find out what varieties they like to plant. Then maybe you won't have to wait so many years, like I have, for a decent handful of fresh garden peas. Advice from other gardeners with more experience than mine. My Dad has been gardening for many more years than me. So we exchange information and compete with whose vegetables are going to be better. I also read, (more when I was younger) A Lot. Online and in Books and magazines. Your peas look great. This is definitely the year of the pea. Carol, that's so exciting -- you inspire me! 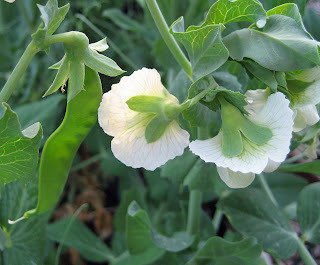 I can't wait to have a few pea flowers of my own, and now I know what to be looking for. Hooray! Plant early? We just planted ours last week. Oh but next year will be different - we now have raised beds - YAHOO! I sympathize with you with regard to your war on rabbits. We have a huge rabbit problem here as well. I am trying a new product by Plantskydd that has bloodmeal in a vegetable oil binder that won't wash away and is supposedly effective all summer when you spray just once. You'll need to wear a mask because it stinks but the odor fades in a few days. In addition, it's good for your plants. Plantskydd has a website if you want to try it. The peas look great! 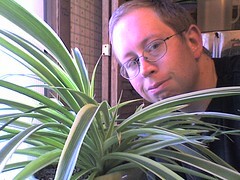 There is always something new to learn as a gardener and other gardeners are a great source of info. Also, books and magazines. Rabbits? Fence! Woodchucks? Fence! Deer? Still trying to figure that one out but Plantskydd does work for that although it is quite a messy product. Also it is blood so be careful! Now I know why your posts are so 'wise'. Oh Carol, I hope you get a bumper crop! Fresh peas from the pod are a glorious vegetable, and having the heritage connection will make them taste even sweeter. We tried the sugar-types a few times here and maybe will do it again. They're not the same thing, but I'll take whatever works. Curtis... I think a little friendly rivalry in the vegetable garden helps us learn new tricks to growing better vegetables. Genie... Good luck with your peas and let us know when you have some blossoms. Sister with the Homestead... You are planting a bit late for this area, but you may get a few peas. Keep them well watered! 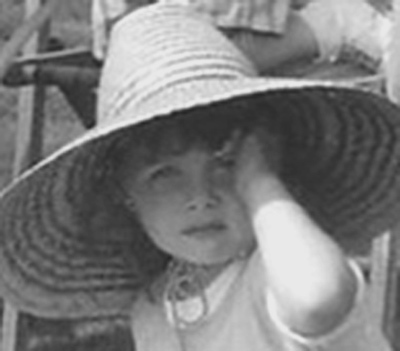 Carolyn Gail... Thanks for the tip, I'll have to look at that website. Annie in Austin... You are absolutely right... fresh peas are a glorious vegetable, and bear no resemblance to canned or frozen peas. I sure hope I get a lot of peas out of my eight foot long row! Carol, my dad always had an old scarecrow man up. He'd use overalls and a big floppy hat. I remember when I was young, it scared me! Don't know exactly if he used it for rabbits, birds or what, but he always had one. Grandma was a true believer in shinny foil tins hung all over. I am pretty sure this was for birds. Good luck with those rabbits. 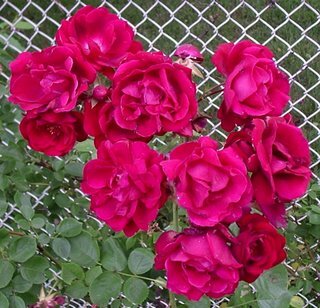 I absolutely agree that advice from experienced gardeners is a must. Your peas look great. I'm getting humgry just looking at the pictures. Beautiful peas! My rabbit strategy involves stringing strips of mylar over the garden. The noise and movement seems to keep them away. Carol, I grew up eating canned peas and as a result never touched them as an adult. But after growing my own they never make it to the kitchen, I stand in the garden and eat them off the vine. Here's to a great pea year! Carol, they look like the best peas ever - period. You must be salivating for the day you can start putting them on a plate. Congratulations. i am growing veg for the first time this year. we have had a slow trickle of peas for several weeks now. i don't have a mouse problem here, but we do have a lot of pegeons and foxes. so pests non the less. to detere everything (apart from those pesky slugs, nothing gets them) , we have put up a small wind sock. birds, and any small prey aninmal (like mice or rabbits) are more scared of sudden movements than anything else.